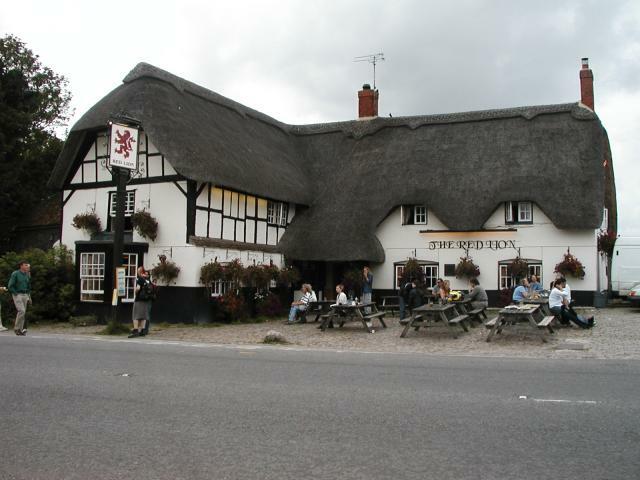 The "Red Lion" in Avebury, where we stopped for a pint after visiting the stone circle. Note the traditional thatched roof. If you look closely, you can spot Pat at one of the tables on the right. Photo by Xandie.